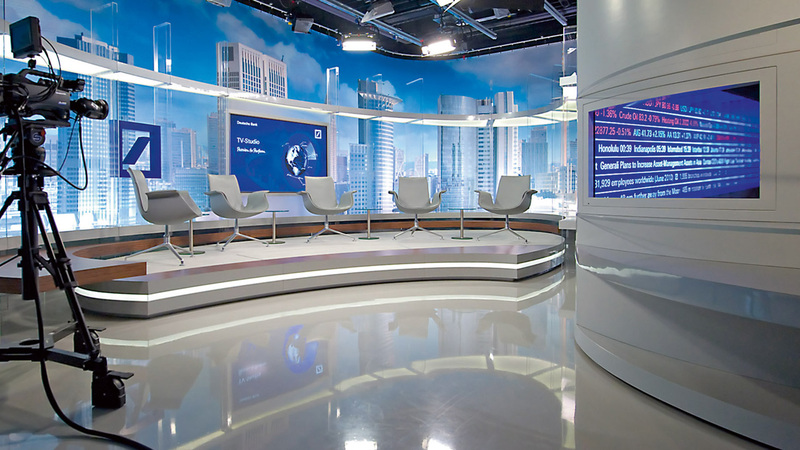 During complete renovation of the two towers of the Deutsche Bank headquarters in Frankfurt room was made for a 6 meter high in-house broadcasting studio on the 38th floor. 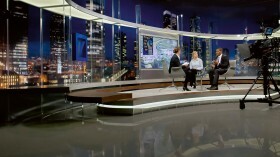 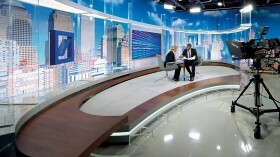 We assisted the bank and the architects in creating this studio and designed a multifunctional TV-set. The studio offers a range of audiovisual formats such as individual reports, interviews and panel discussions. 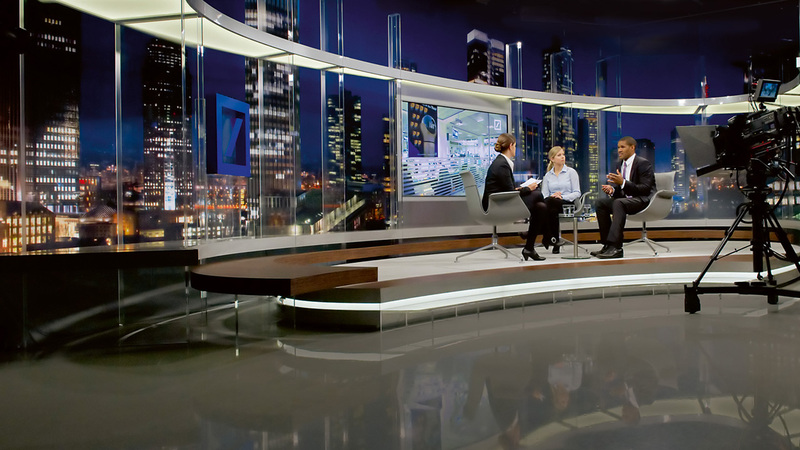 The background is formed by interchangeable printed backdrops which show international financial centres by day and at night.